Kicking everything off in just a few weeks is Treasure Stories by Eric Carle, coming to us from our friends Mermaid Theatre of Nova Scotia (way up in Canada!). 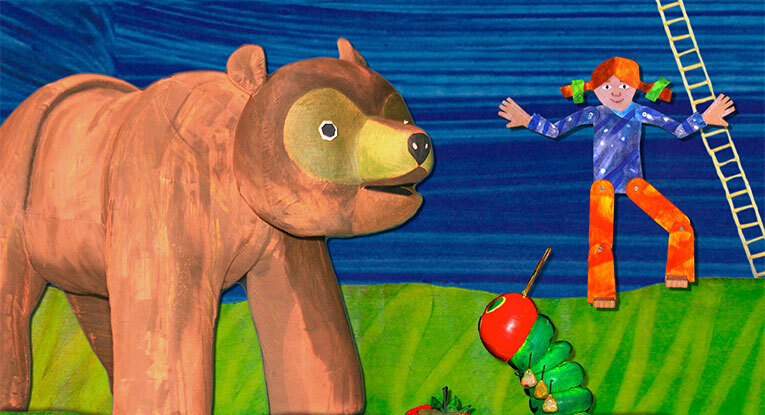 Last year they were our show for Family Day with The Very Hungry Caterpillar and now they’re back, not only with The Very Hungry Caterpillar (one of our favorites) but also with the other classics: Brown Bear, Brown Bear, What Do You See? and Papa Please Get The Moon For Me. The production incorporates puppetry, imaginative lighting, and recorded narration and original music. After the new year we have another troupe from Canada (Montreal this time) tumbling their way across our stage. Cirque Éloize is here for two nights only in their musical acrobatic adventure Saloon. In this tale a piano tuner falls under the spell of the beautiful entertainer Belle, and the two of them set off on a chase worthy of the greatest cowboy Westerns, telling this rollicking story through live music, acrobatic prowess, and inventive choreography—ending in a breathtaking, gravity-defying duel! 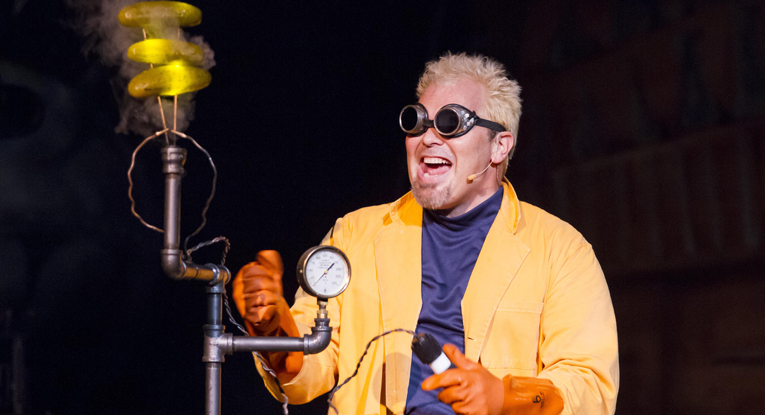 Next up we have the German mad scientist Doktor Kaboom here to light up the theater (literally!) on his Electricity Tour. Bounding around the stage, he explains everything from voltage, current, magnetic fields, conductors, plasma, and resistance to energy conservation and safety. This riotous romp through history tries to cover all the fundamental principle of electrical energy. There’s lots of audience participation, a ton of laughs, and some serious science! In February we have Henry and Bucket inviting us into their bockety world; it’s rusty, dusty, a bit battered and full of discarded objects! These best friends have imaginations that can take them anywhere, and this story explores what friendship is, what happens if it goes wrong, and how you fix it. 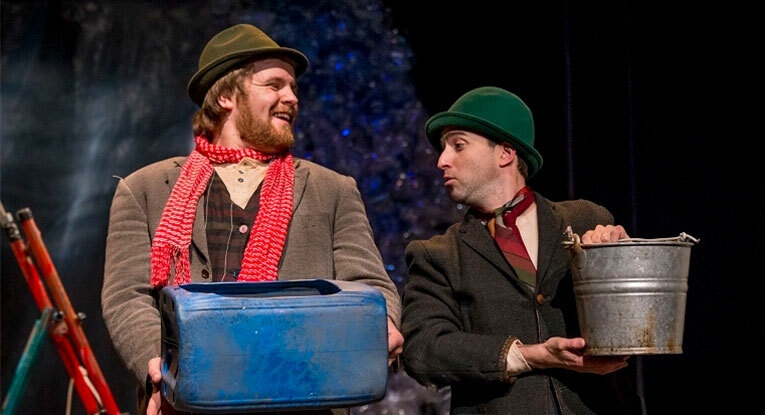 The show, from Ireland’s Barnstorm Theatre is endearing, playful, and rich in visual antics. As always, we have Family Day on President’s Day! Lightwire Theater is bringing the moon to life in their wondrous electroluminescent production (it’s done all in the dark, and you won’t believe your eyes!). In Moon Mouse: A Space Odyssey, we follow the story of Marvin the mouse, who is bullied as school by the “cool” mice. Retreating into his science books, he dreams up a world of fantasy where he is the brave hero! Join us for this show as well as dozens of performances, workshops, hands-on-activities, and much more on this school holiday at State Theatre New Jersey Family Day! 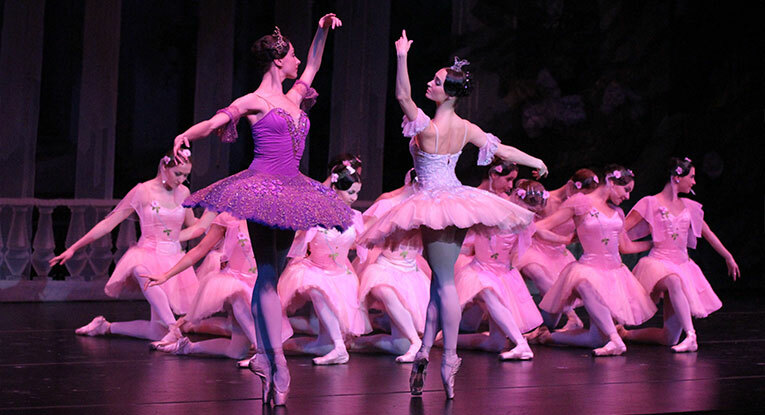 Continuing our journey around the world, we have the Russian National Ballet Theatre coming to us in March to perform the classic The Sleeping Beauty. With a soaring score by Tchaikovsky, this has become one of the most illustrious classic ballets of all time, following the magical fairy tale of the beautiful, sleeping Princess Aurora who awaits the kiss of her prince. At the beginning of April the Kung Fu masters of the Shaolin Warriors make a triumphant return to the State Theatre New Jersey stage! Representing over a thousand years of Chinese martial arts culture, Shaolin Warriors is a wildly popular theatrical experience featuring the remarkable skill, stunning artistry, and death-defying martial-arts prowess of more than 20 Kung Fu masters who have all trained from a very young age to perfect their skills, allowing them to perform feats that you only thought were possible in the movies! Soon after we have some very special guests coming: dogs, house cats, a variety of birds, a miniature horse, and more (all rescued from animal shelters)! 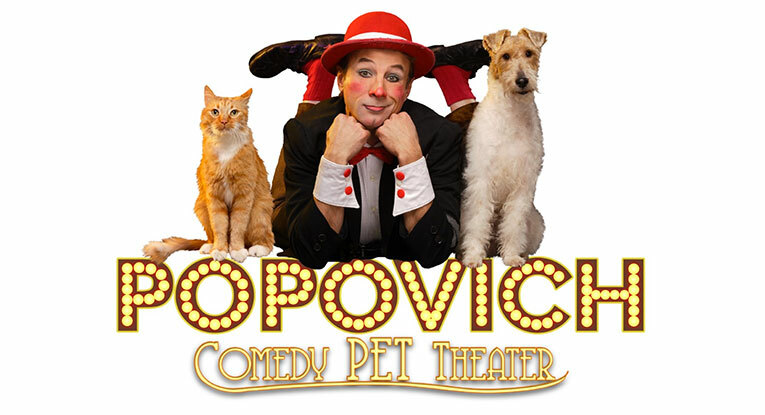 Popovich Pet Comedy Theater is the “purrrfect” show for all ages and their coming to perform at The State! Working with them are some clowns, jugglers, and acrobats to perform some pretty unbelievable stunts and skits! Rounding out our family shows for the year we have Erth’s Dinosaur Zoo Live! 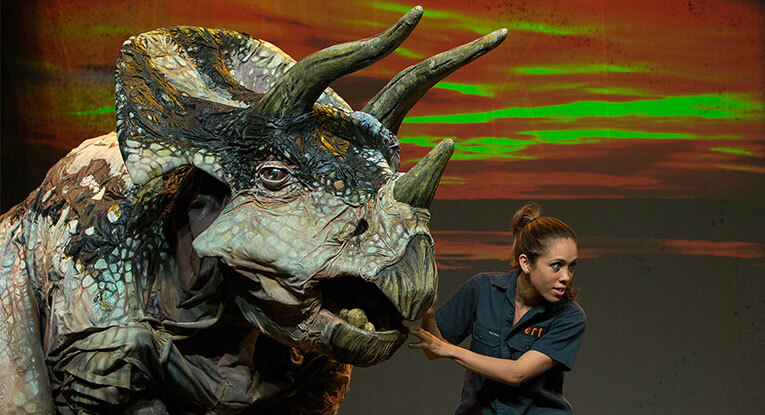 Observe, meet, and interact with an eye-popping collection of amazingly life-like dinosaurs and other creatures presented in a theatrical performance that will thrill and entertain kids. Get ready for the ultimate playdate, one that’s been 65 million years in the making! 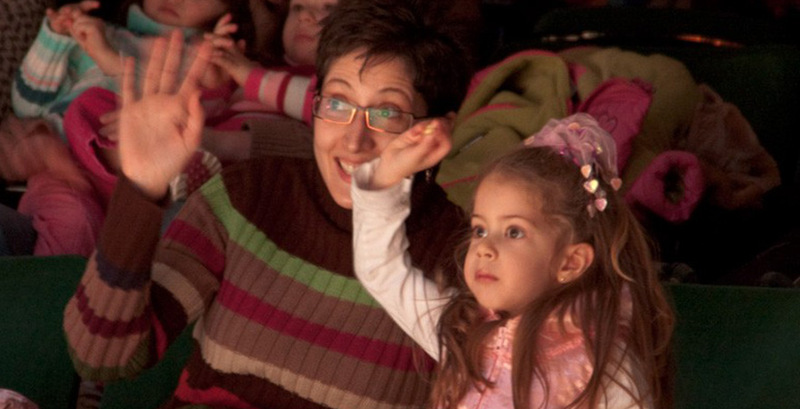 Looking for the perfect show for the whole family? We’ve got it! From dinosaurs and dogs, ballet to kung fu, acrobats to one very hungry caterpillar, we have what you’re looking for. Don’t forget to buy before Dec 23 to take advantage of our Family Buy More Save More promotion! Buy tickets for two productions and save 10%, buy tickets for three of more productions and save 20%! Hurry, this amazing opportunity won’t last forever! Family Series Lead Sponsor Investors Bank. Restrictions Apply.